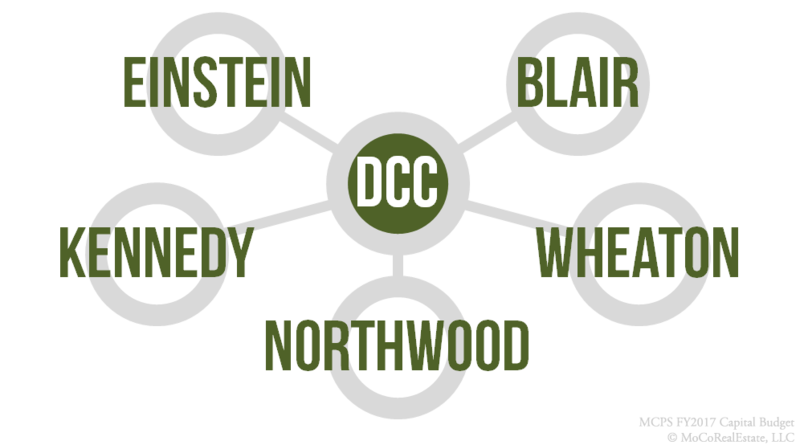 The Downcounty Consortium covers a large area along the north section of the Capital Beltway and is bordered by the Northeast Consortium and the Rockville, Walter Johnson and Bethesda-Chevy Chase Clusters. 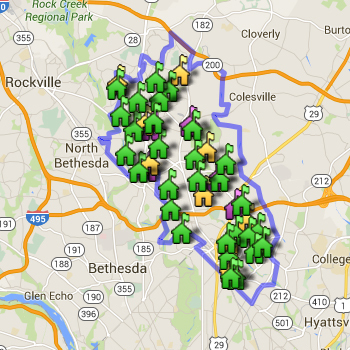 Homes in Kensington, Rockville (zips 20852, 20853), Takoma Park and Silver Spring (zips 20901, 20902, 20903, 20906, 20910) feed into this consortium. Except for the Northeast and Downcounty Consortiums, all clusters in Montgomery County have one high school that is fed by a hierarchy of middle and elementary schools. The consortiums are different. Here, a home will have an assigned elementary, middle school and a 'base' high school. When it's time to time to enter high school, a student can chose to attend any high school in the consortium.